my first mochi ice cream! 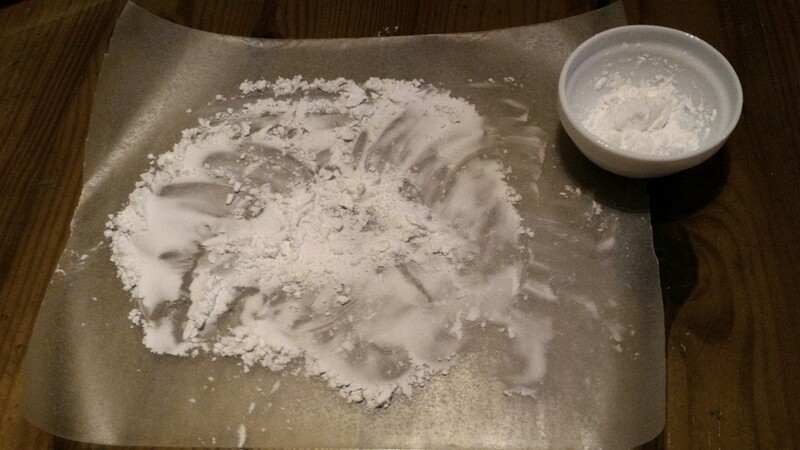 In a bowl, gradually add water to flour. 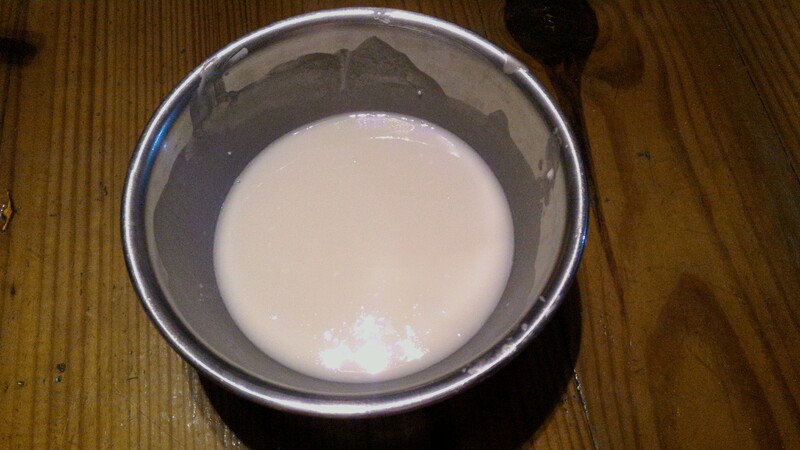 Mix well until lumps are dissolved. 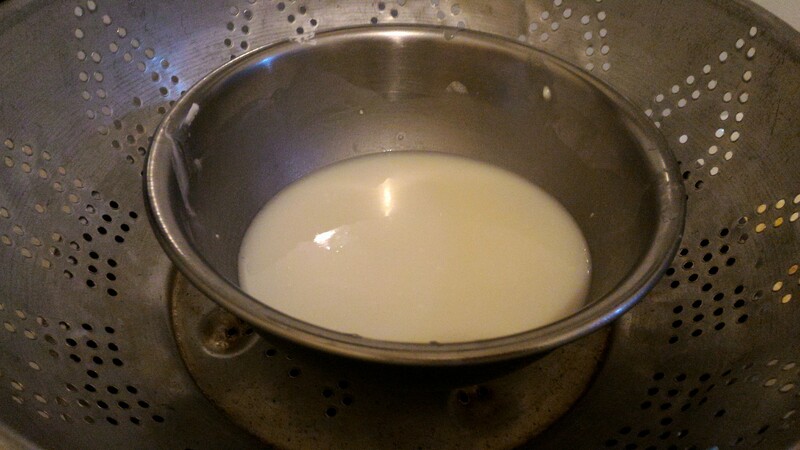 Using a double boiler, steam the mixture for 10 minutes. 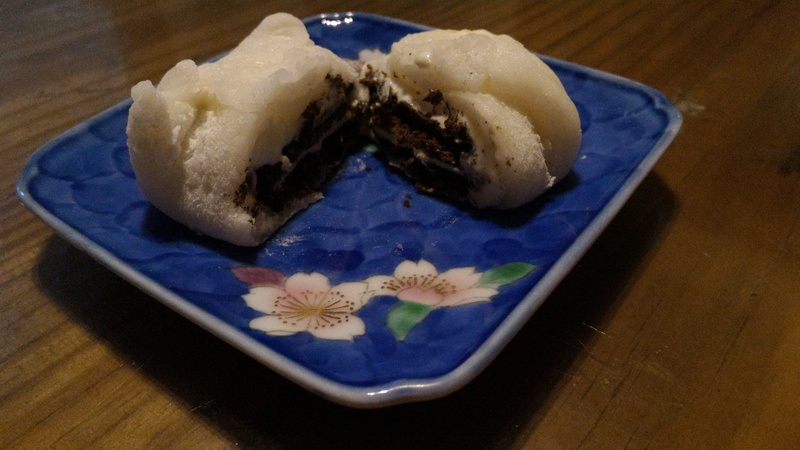 Take the mochi from the steamer then mix using a damp spoon. Return to the steamer, and steam for another 10 minutes. 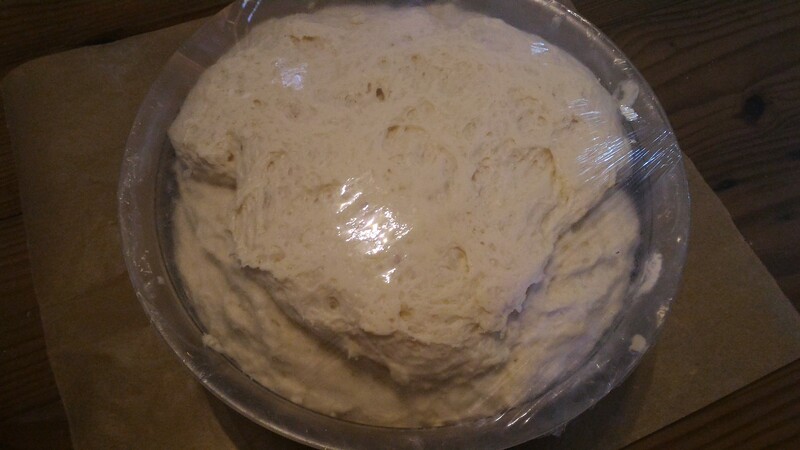 Coat a wax paper or any flat surface with potato starch. 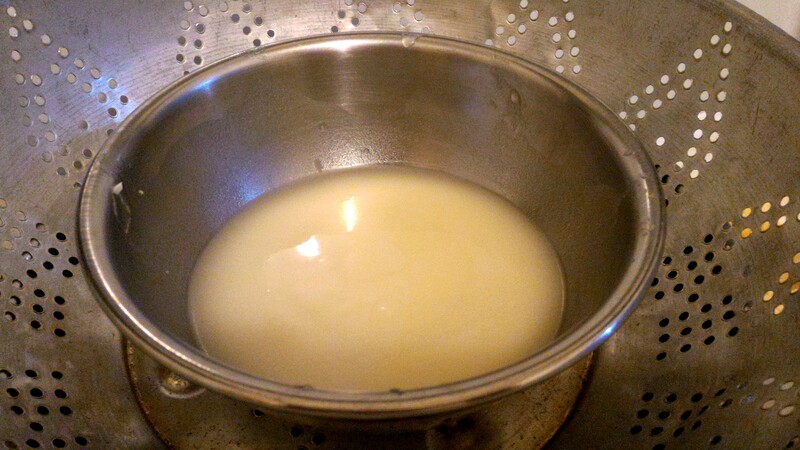 Drop the mochi onto the starched surface. 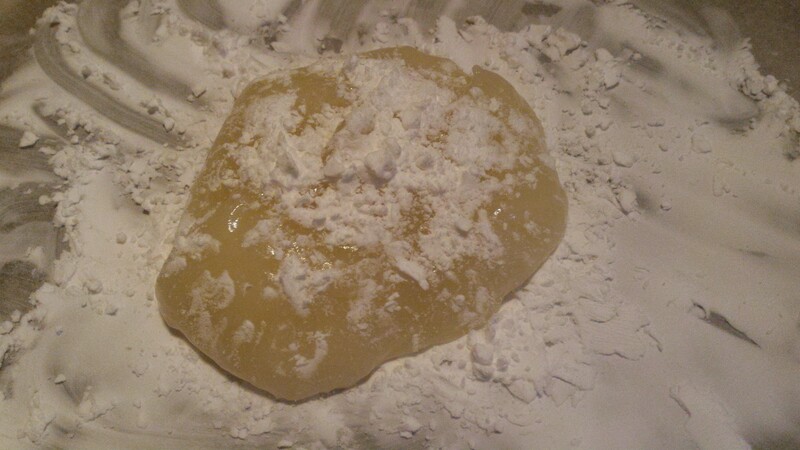 Flatten the mochi using a rolling pin. Divide into 8 pieces. 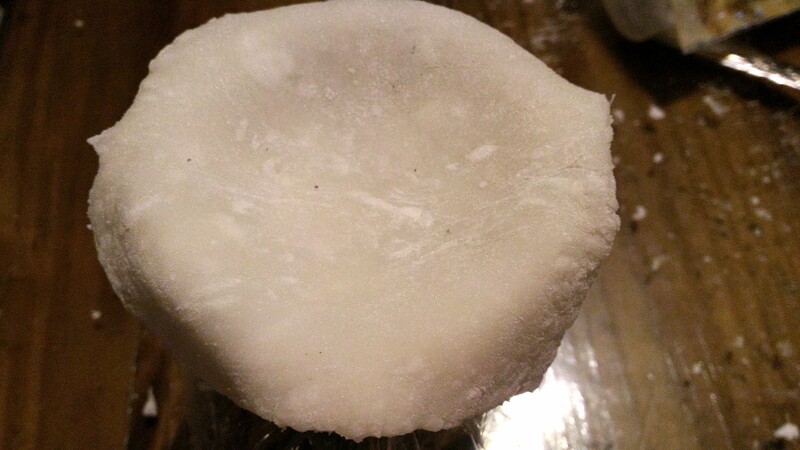 Place your shaped mochi on the top of a glass to form a cavity. Place one cookie and a tablespoon of ice cream. Fold the sides to form a ball. Then put in the freeezer to harden the ice cream.